Martin Vranken is a Reader in Law at the University of Melbourne. He has also worked for the Institute for Labour Relations at the Catholic University of Leuven in Belgium and at the Industrial Relations Centre at Victoria University of Wellington in New Zealand. His books include Death of Labour Law? 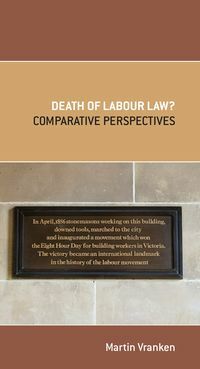 Comparative Perspectives, Federalism and Labour Law (co-edited with Othmar Vanachter), Employees and the Law: Australasian Experiments, and Fundamentals of European Civil Law and Dismissal and Redundancy Procedures (with Alexander Szakats and Margaret A. Mulgan).